Originally posted: October 9, 2017 . Last modified: October 2, 2018 . 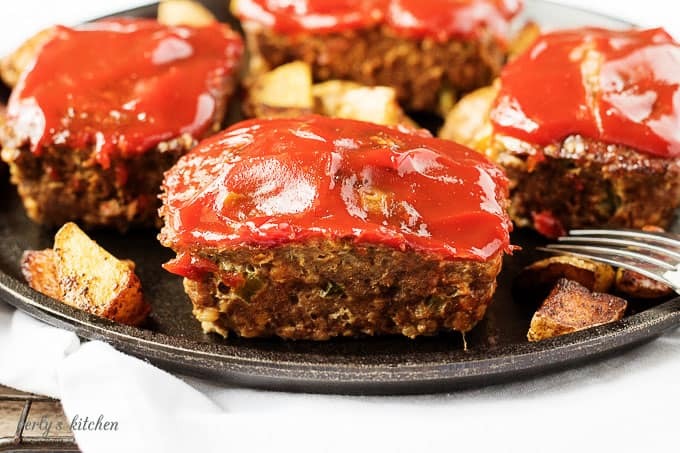 Individual mini meatloaves of savory hamburger meat, seasonings, and zesty ketchup. They’re easy to prepare and perfectly pre-portioned. 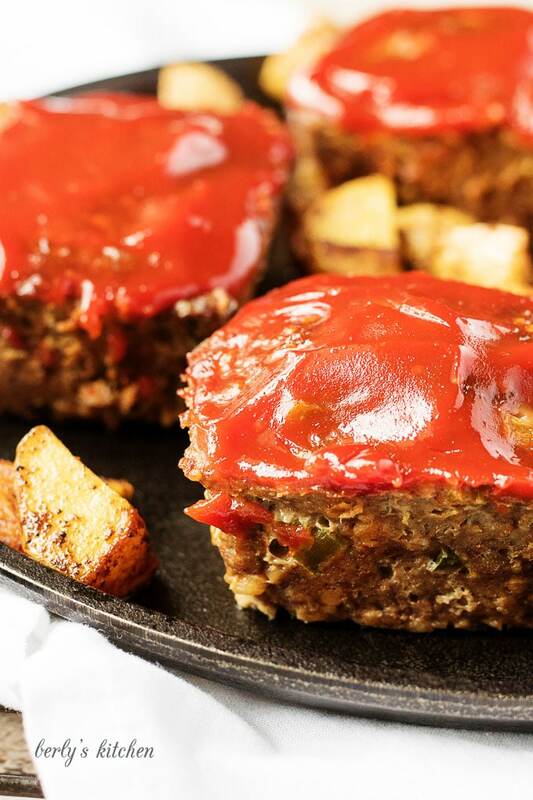 Meatloaf is one of those classic dishes that a lot of households enjoy on a regular basis. While we could have done a traditional loaf, Kim and I decided to change things up a bit and create mini meatloaves. 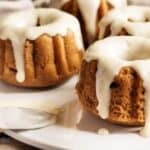 Not only are they filling and delicious, but they’re also adorable. Furthermore, the loaves are perfectly portioned into four-ounce servings. The same amount of beef you would get from a restaurant burger. Instead of using ground chuck for our mini meatloaves, we chose ground sirloin. I felt with all the extra ingredients a meatloaf requires; we wouldn’t lose a lot of flavors. On the bright side, you do cut out some of the unhealthy fat that you’d usually find in a meal like this. I’m also of the opinion using sirloin gives the mini meatloaf a heartier texture. Something akin to a steak, which is really nice with all those seasonings. 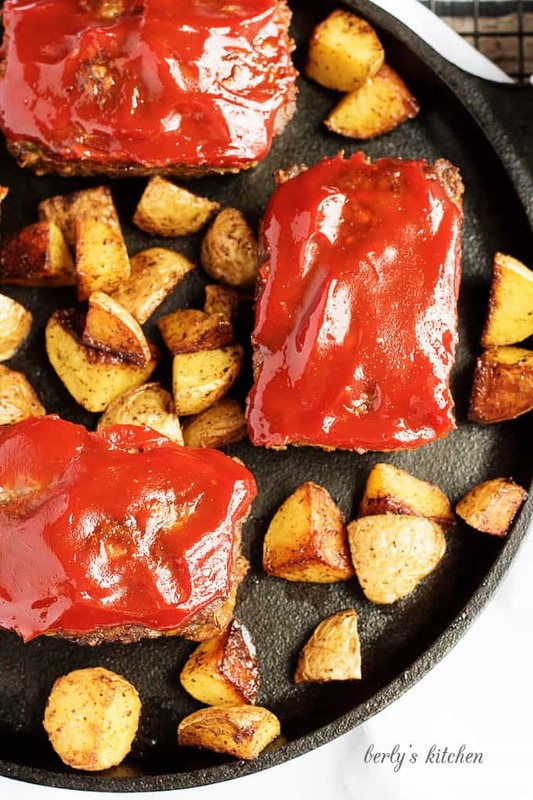 As you can see from the photos, we paired our mini meatloaves with oven roasted potatoes. Which, happens to be one of our favorite side dishes. 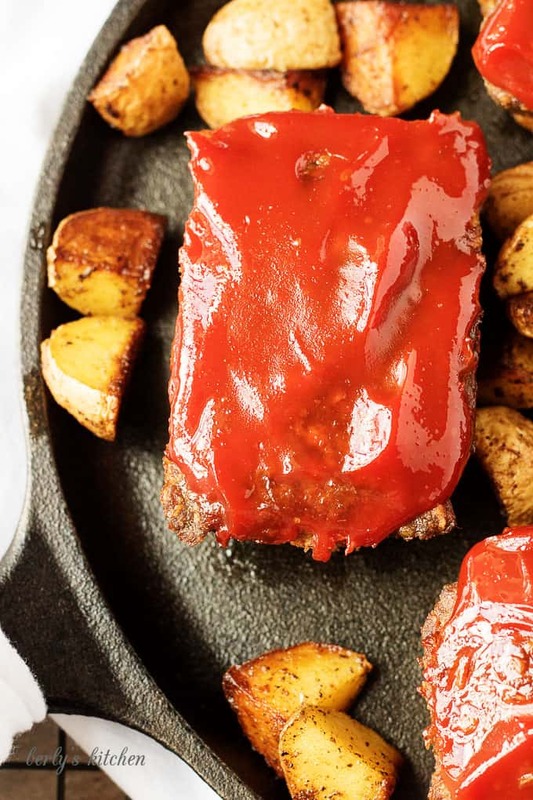 The ketchup is optional; however, I grew up with meatloaf being slathered in that zesty tomato condiment. But, I can understand why you might choose to leave it off for yourself. 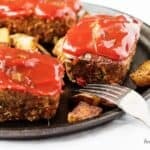 In closing, I invite you to try this mini meatloaf recipe and compare it to your family recipe. You might find it to be a pleasant change of pace. As always, I wish you a long life, love everlasting, and a tummy full of homemade meatloaf! 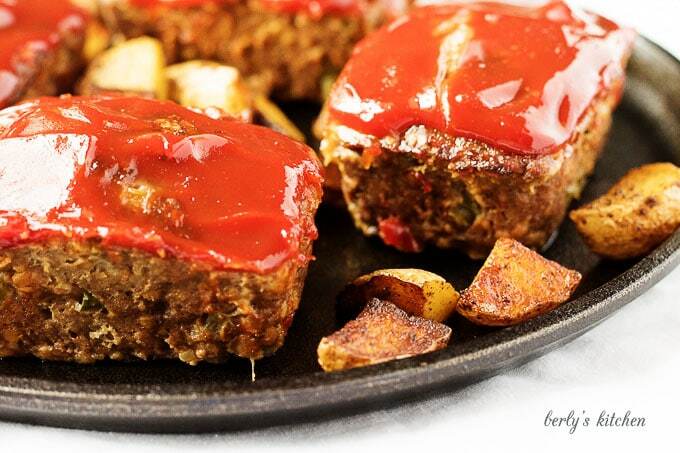 Individual mini meatloaves of savory hamburger meat, seasonings, and zesty ketchup. They're easy to prepare and perfectly pre-portioned. First, preheat your oven to 350 degrees F. and spray a mini meatloaf pan with non-stick cooking spray. Next, in a large bowl, whisk the egg and combine the meat, seasonings, breadcrumbs, peppers, and onions. I used my hands to mix everything. Then, separate the mixture into four equal sized portions and shape each portion into an individual meatloaf. Put the meatloaves in the pan to cook. Last, let the mini meatloaves bake for 30 minutes, then remove them from the oven and bast them with ketchup. Now, put them back in the oven to cook for an additional 10 to 15 minutes. Afterward, they should be done and are ready to serve with sides. The calories listed are an approximation based on the ingredients. Actual calories may vary. Ketchup is optional. The dish can be stored in a sealed container in your fridge for up to three days.